On July 18, gas worker members of the United Steel Workers, Greater Boston Labor Council, Massachusetts AFL-CIO State Federation and thousands of union supporters rallied at 4 pm at Boston City Hall Plaza. 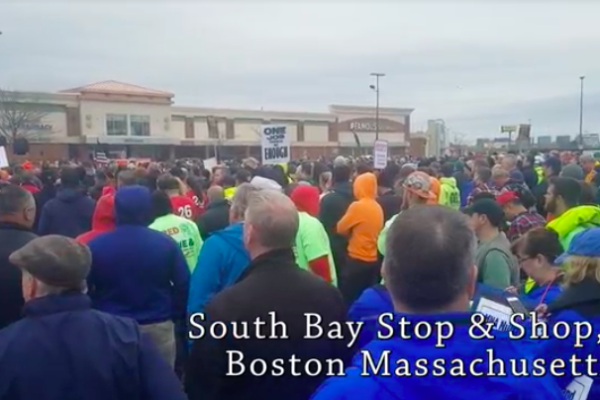 After a short rally, the mass of workers and supporters marched to the Massachusetts State House to protest National Grid’s lock out of more than 1,200 members of USWA Locals 12003 and 12012. These gas workers do the critical work of maintaining natural gas lines for homes, schools, and businesses across Massachusetts; the hiring of poorly trained scabs to do this high skilled labor endangers all Massachusetts residents. The rally and speakout also highlighted that National Grid viciously cut off the healthcare benefits for the gas workers. The disgusting policies of “National Greed” as the workers and their supporters described them, has thrown the families of these workers into precarity as they are rapidly losing income, falling into debt, and are unable to get healthcare for their families. All this is happening while the CEO of National Grid rakes in millions of dollars and high end managers are receiving absurd pay increases. As Karl Marx cogently described of capitalism: “There must be something rotten in the very core of a social system which increases its wealth without diminishing its misery.” As the “National Greed” bosses and top managers siphon off the wealth – created by the workers – into their pockets, the workers face more penny pinching, tightening of their belts, and daily oppression. The contract between the USW gas workers and National Grid expired on June 24. The gas workers offered to maintain their contract, with a strike clause, while the union bargained with the company, but instead of negotiating in good faith, the multinational corporation decided to lock the workers out of their worksites all over the state, rejecting the compromise. This multi-billion dollar and multi-national corporation has benefitted from President Trump’s tax cuts and has reaped in a truly monstrous amount of profits. 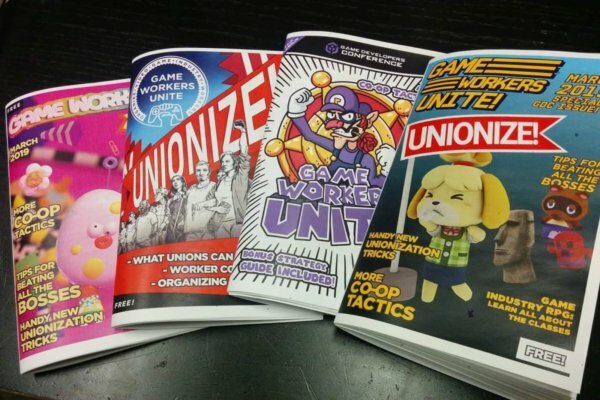 In this time of heightened tension for all of organized labor, militant actions like strikes, must not be ceded to the employers. The historic multi-state teacher rebellion earlier this year demonstrated the power of the strike. National Grid is one of the largest privately-owned utility companies in the world with a reported operating profits of $4.58 billion for fiscal year 2018, an increase of 9 percent over the previous year. Despite National Grid’s soaring profits, the corporation has proposed a contract for the workers which would devastate their families and drastically lower their standard of living. The workers stand to face sweeping wage cuts, slashing of healthcare benefits, a reduced medical plan on current and retired employees, and creation of a two-tier retirement plan, forcing new employees to accept an inferior plan. Additionally, new workers would lose their medical benefits after age 65 and be given reduced sick time and life insurance. Here is a classic case of the corporate boss class using a “divide, run, and conquer” tactic to destroy worker solidarity across age groups. The bosses hope that the older workers will sacrifice the younger workers’ futures just so they can return to work and the status quo. These are routine capitalist tactics, but they were roundly rejected as speaker after speaker spoke of the need for working class solidarity. “Sisters and brothers! We didn’t build our unions by being timid! Being locked out of work during bargaining is no way to bargain in good faith. I am proud to be part of a labor movement that sticks together when we see brothers and sisters being abused by the companies they work for. We stand with United Steel Workers Local 12012 and 12003. “American Federation of Teachers Massachusetts stands with the unions as they fight for decent pay for new workers as well as senior workers. We deserve a fair pay structure, a reliable retirement plan, and damn it, we deserve HEALTH CARE for ourselves and our families. “AFT-MA is proud to stand here with you. We will walk with you and support you as you fight back. 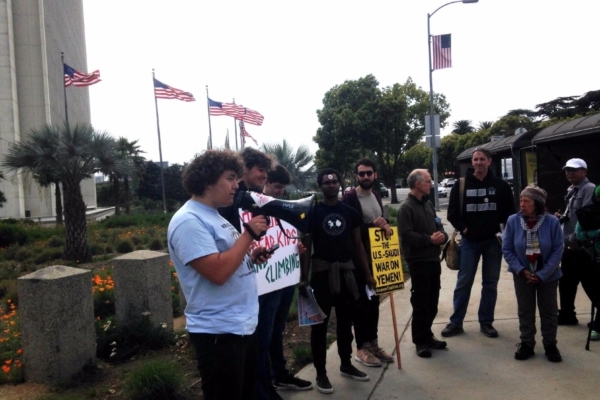 Shame on National Grid for halting its employees’ healthcare after LOCKING THEM OUT! “Shame on them for this display of corporate greed! “Shame on them for not sharing the 24 percent increase in profits! “Shame on them for boosting the salaries of its corporate executives while wanting to cut yours! “Who do they think earns them that profit!? The United Steel Workers of Locals 12012 and 12003 do! “If they can get raises, we can get raises! If they can have healthcare, we can have healthcare! The National Grid workers serve communities in more than 85 cities and towns across Massachusetts. The company’s reach covers Rhode Island, Brooklyn, Queens, Staten Island, Long Island, and most of upstate New York. Approximately 20 million people live in areas where National Grid operates. National Grid is putting all residents of Massachusetts in grave danger. The work these workers do is very dangerous and requires well trained and experienced professionals. When the company decides to outsource the most dangerous and high skilled work to inadequately trained contractors with meager inspectors and monitors they put all of our lives at risk because the mishandling of live gas can easily result in explosions that have taken lives and seriously injured people. The capitalist class outsources primarily because they want to pay the least for labor power so as to get the highest amount of profits. Outsourced labor typically takes the form of moving some production and logistical work to a low wage country, usually dominated by imperialism, but as one speaker said “when they tried to outsource some of our union’s jobs to India, we got them to bring it back, but the company then settled on Colorado,” showing the growing precarity for the working class. Workers need living wage jobs, pensions, healthcare, job protection and unions to defend themselves from the ravages of capitalism, whether it be in India, Colorado or Massachusetts. All progressive people should stand with the locked out workers in their fight with National Grid. 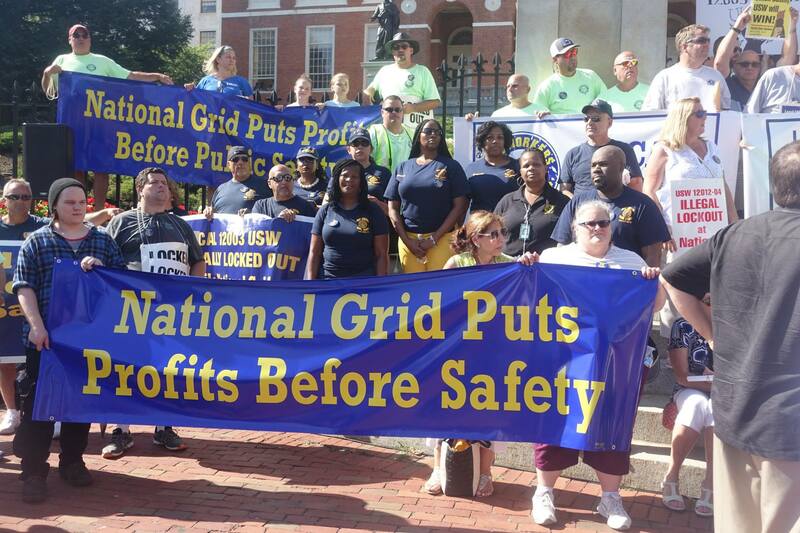 National Grid should meet the workers’ modest demands, as well as pay them back for their lost wages and debt incurred from this despicable lockout. All families should have access to quality healthcare that is low cost or free. 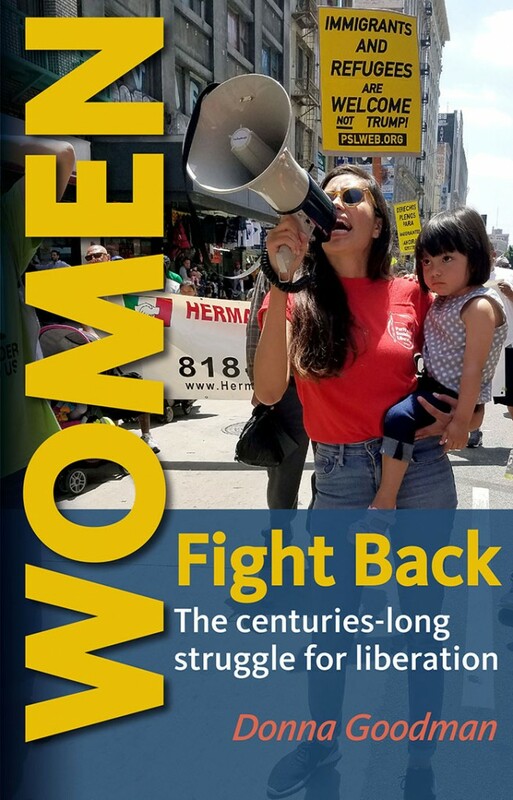 The entire energy industry should be seized by the working class and become public property and transition to alternative sources of energy that are not harmful to people and the planet.